Mexlon Leroy Hamlin was born in February 19, 1884 in Lock Haven, Pennsylvania. He stayed in the Lock Haven area, getting married and having two children there. He moved his family to Harrisburg Pennsylvania and they lived there on September 9, 1918 when he signed up for the World War I draft. 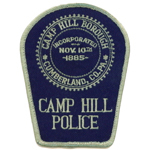 He was hired by the Camp Hill Police Department, Camp Hill, Cumberland County Pennsylvania. On May 23, 1925, Officer Hamlin was on motorcycle patrol traveling westbound on Market Street when he observed a motorist traveling eastbound at a high rate of speed. Officer Hamlin proceeded after the vehicle and in the 1700 block of Market Street he hit the trolley tracks, crashing his motorcycle. He was taken to Harrisburg Hospital where he succumbed to his injuries. It was later learned that the speeding motorist was transporting another injured individual to the Harrisburg Hospital. That person had been injured when a tree fell on his vehicle in the 2800 block of Market Street Camp Hill. 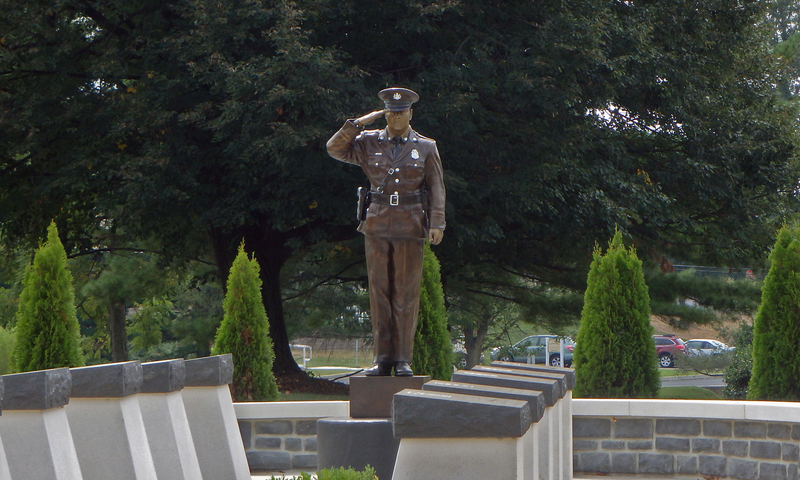 Officer M. Leroy Hamlin was 41 years old, and survived by his wife Viola and two children, Norma and Ernest.